Hello. My name is Anastasia Goreeva and I am a representative of DiagnoX medical project – a system aimed at addressing difficult medical cases and development of new treatments, as well as prognosis of diseases – future diagnosis. Frankly speaking, neither my team nor I know how to write manifestos. We know how to do many things well, but not how to creatively express our thoughts and write an appeal that would clearly reflect our ideas and a current situation. Therefore I will just speak right out. We need your help to launch our project, based on the idea of creating an Open Bitcoin Economics. In return, we promise to give out shares in the company, provide medical consultations, and many other rewards for your support. Aside from financial support, we would be grateful for any help, both technical and informational, for reposts and other development of awareness, promising the obligatory token consideration from our part. We ask for help because we are trapped in a difficult social and economic situation, being hostages of our origin. We have long forgotten how to complain and wait for help, but now we are too devastated to continue this fight. As never before, we feel that our sands are running out, that we are going to surrender and lose. At the same time, life has taught us to go all the way, even if we face a defeat in the end. We have to start this last fight, even if its outcome is known in advance. Our last fight is DigitalHealing project, which, if you please, we’ll describe in detail in the hope to be heard and trusted and receive a chance to do what we have chosen our occupation for – to help. That is why we are very ashamed to ask for help – because it should us providing help for others. DigitalHealing - it is our mission, which consists of two paths: the digital economy and digital medicine. What is DiagnoX+? Imagine there’s a system that helps identify the disease as brilliantly as the protagonist of House MD TV series could do. 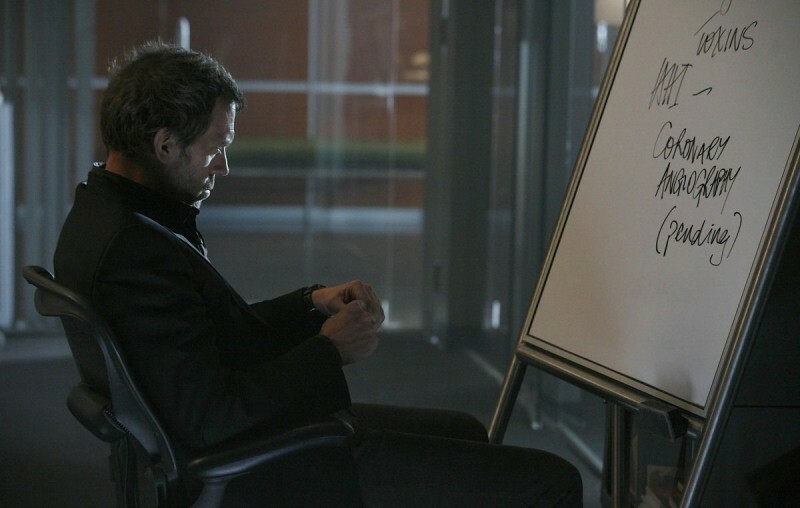 Throughout the series, House MD walks with a cane after the muscle infarction in his right leg was diagnosed too late. The main idea is that the timely and correct diagnosis can prevent complications and save lives. Thanks to extensive database of medical cases and eminent diagnosticians that we collected, a special structure is created with the use of high technology, which don’t just identifies the disease, but also reveals its causes, and in the future creates programs of early diagnostics to allow predicting the risk of developing the disease – the future diagnosis. Every disease is a medical puzzle, and the sooner you manage to solve it, the less the body will suffer. A promising trend of Open Bitcoin Economics was chosen as the basis of independent existence of the project. Within the framework of classical economics, it is hard to show consistent results and receive an objective positive fair assessment to promote further growth and development. Bitcoin potential opportunities open up many areas of its application and provide a unique powerful incentive for growth, the value of which we intend to disclose at the example of our crypto startup. Ecosystem functions using Bitcoin network, Blockchain and other Bitcoin services. 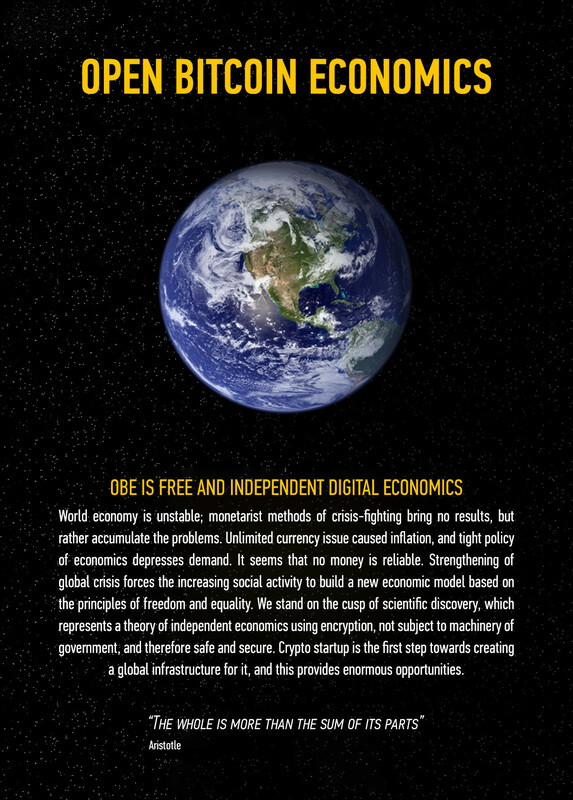 Crypto startup, once officially enrolled in the legal field of classical economics, globally guarantees the juridical legitimacy of Bitcoin use as a basis of an independent open economics, for all participants in economic activity, by creating a free world economy. Via web applications, a system is created online of labels and signs, use of resources at all levels of the organization, and open financial statements with descriptive comments to economic actions on direction and purpose of processes. All internal and external flaws, calculations, revenues and expenses, including wages, are conducted exclusively in Bitcoins. Users pay in whatever currency, but the funds are converted into Bitcoins, in order to present the evidence based on Blockchain public network, confirming financial activity. Thanks to Bitcoin, the efficiency of economic activities of the company can be accurately assessed and large investment support can be attracted. We use Bitcoin not because we want to self-promote or look smart and trendy to tap into success of cryptocurrency, but in order to create the economics of equal opportunities. When «to be» plan was designed, we chose what we put in the backpack and what ways we move: the first way was crowdfunding, but the second way was a problem. Venture investing is a mess: incubators, angels, funds; despite there are dozens of projects to help startups find their way, none of them would create a secure infrastructure on the way to achieve the goals. Most of potentially successful startups fail to grow into their next stage simply because they lack venture fuel to start the engine and drive a couple of miles to show that it works. But the next fuel station is so far, and there are not many of those on our way who would consider our success and confirm that they have seen it at a new stage, thus allowing us to refill the tank to the top without giving away everything we have in a backpack in return. This is a two-front war, the first being to make a great project, the second – to prove that it’s valuable. Potential investors are not satisfied with accounting reports to get convinced in the success of the project in time and to give a fair assessment by the time further investments are needed for accelerated motion. This is why Bitcoin for us is a new form of economic existence – something bigger than it seems apart from us. It is a smart way. Backers, please submit your medical history and description of your medical problem to our e-mail md@diagnox.org or md@diagnox.net . In the framework of the campaign and in order to raise awareness to the fundraising, we will hold an open healthcare forum on Reddit during the crowdfunding campaign. The most interesting cases will be studied by experts from 20 areas of medicine of our service, and a public expert opinion will be handed down on them with your permission. Thank you for your attention! Ask questions, as many questions please! All project developments will be published open source on GitHub with subsequent updates as the expression of our respect and gratitude to Bitcoin community and the idea of ​​Bitcoin. Diagnox.org medical project welcomes the crowdfunding community and calls for support. We invented the way to make a giant leap to the advanced medicine of the future based on the system approach to early diagnosis of diseases and discovery of new diseases, via one service and a global desire to be healthy. 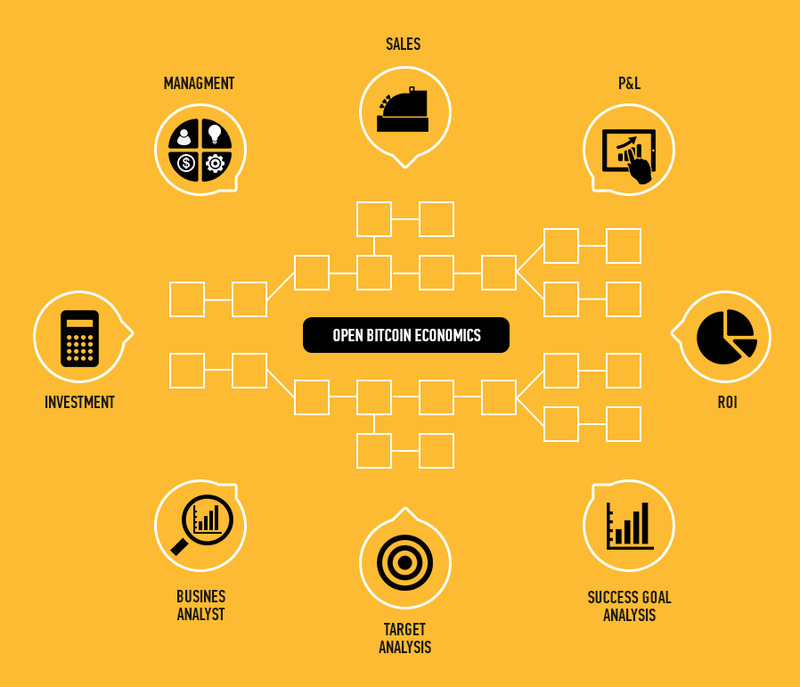 We want to use the openness of the Bitcoin economics in a bid to give our project a second life. Our new Crypto startup will be based on the use of Bitcoin protocol and its Blockchain functions as a confidential system of statistical and financial reporting. By developing our startup, we want to make our way in the global shift from classical economics to new economics, open and independent. Both independence and openness are very important for us, because we have already tried to bring our idea to life once: we were developing medical information systems for the Government of the Russian Federation. However, due to unfair competition, we lost financial support at the stage of alpha-testing, before the software was released. This time, we want to ask help not from the governments and corporations, but rather from the final destination of our project – people who care about their own health and health of their loved ones. We know that two out of three Internet users (which makes it at least 1 billion people worldwide) are looking for information about their health online. Thus, helping patients and doctors access specialized doctors and advanced studies, we can create a large medical database, the value of which for science is priceless. Timely and properly conducted cluster analysis can help identify new unexplored diseases and prevent new pandemics. We believe that if a system similar to Diagnox had existed in the 19th century, it would have helped prevent tuberculosis and third plague pandemics, as well as the HIV pandemic in the 20th century. Why is the idea unique? The service combines global medical database, MD experts, and telematic consultations technology to deliver reference health care online. Crypto startup provides access to web application that displays open financial data in real-time mode, based on Blockchain and confirmed by Bitcoin. What problems does DiagnoX solve? For a patient: New approaches to diagnosis and treatment based on a thorough scientific analysis. 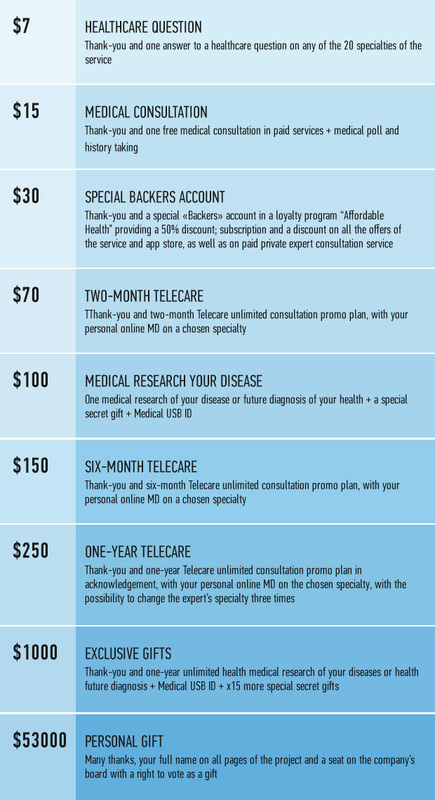 For a specialist: Publicly accessible telehealth for solving a wide range of medical problems. For science and society: Creation of a global medical database, ability to analyze large amounts of data, including possibility to early detect new variations of known diseases and using the information to prevent their spread. What problems does Crypto startup solve? Transparency and reliability of relevant financial performance to investors, reliable investment instrument. Our team consists of experienced doctors and medical information systems developers, as well as technical experts from Russia in the field of space medicine. Global research network of diagnostics and control over unknown diseases. Ready Teleshares platform to launch the project. A universal platform for provision of telemedicine consultations and establishment of telemedicine networks. How much do we ask and what for? $53,000 to launch both the demo version of DiagnoX service and Open Bitcoin Economics web application. One-time medical advice, consultations with expert opinion, subscriptions plans for ongoing consultations, a special secret gift. Why will the project succeed? There are cases of treatment failures subject to many reasons, including the fact that the majority of patients only see general practitioners who don’t always have modern methods of research or information on the latest pharmaceutical developments. In addition, a general practitioner, who faces hypertensives, diabetics and colds, can miss a rare disease, mistaking it for a more common one. A large budget associated with the departure to a bug city or abroad is usually required for the treatment of rare diseases. Not every patient can afford these costs. True causes of many diseases still remain not found. Moreover, new diseases emerge, and the sooner we learn to recognize and treat them, the less they will harm people’s lives and destinies. Prescribed treatment is heavily influenced by pharmaceutical companies interested in increasing sales rather than health. Our project DiagnoX will be able to meet each of these challenges, pushing mankind to new medicine, more accessible and based on sound scientific knowledge. 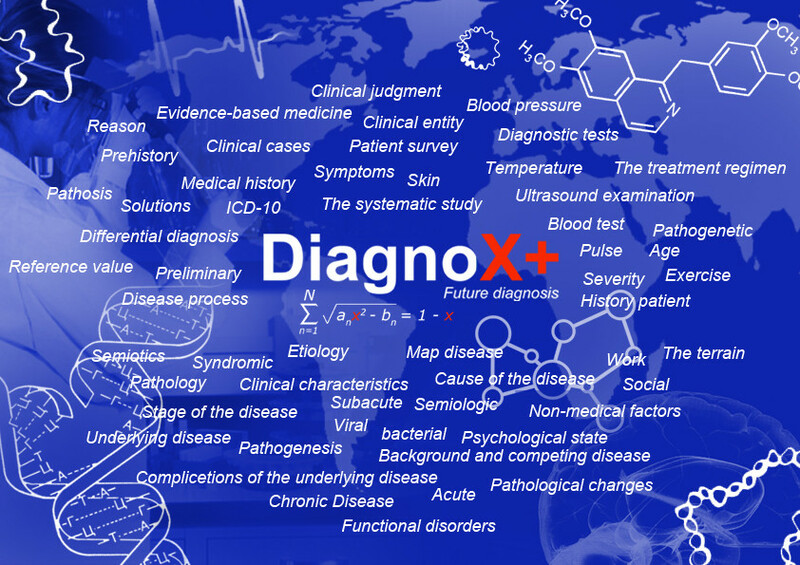 DiagnoX will allow to create a database where all diseases and their records (on condition of anonymous provision of impersonal data, including biotelemetering, managed by meta identification) are studied in order to identify the causes of disease and its way of propagation, as well as to find an effective treatment. EURORDIS organization estimates that there are 5 to 7 thousand rare diseases in the world (while in the European Union, for instance, 6 to 8% of the population suffer from them, which is every 16th person), and diagnosis is usually possible with specialized doctors only. We do not think it is fair for a person to suffer from the symptoms of such diseases all their life without receiving adequate diagnosis and treatment. We want children with rare diseases to receive timely treatment and be able to socialize. We believe that every adult deserves better treatment of chronic diseases and timely diagnosis of life-threatening diseases like cancer. We will be glad if our project helps ensure the most comfortable life for older people by alleviating the symptoms of severe illnesses and, in some cases, curing them. The idea of DiagnoX appeared when we held competitions on disease recognition at medical conferences, via photographs and various medical data. Diagnox is a format for the international board of doctors, and not only on the most complex diseases for the richest patients, but rather as a consultation of specialized doctors as a mass phenomenon, accessible to more and more people. Over the years of working on medical information systems projects, our team developed a universal hardware and software system – Teleshares platform, which can be used to support telemedicine projects. DiagnoX is a service based on Teleshares platform technology, it combines teleconsultation and teleinvestigation networks. DiagnoX provides patients and their physicians from all over the world with direct and rapid access to telediagnostic consultations and unique expertise that are possible thanks to extensive scientific database with photos and videos received from medical providers, antineoplastic institutions. Discussion of the patient’s disease is hold by several experts simultaneously – such comprehensive approach provides patients with equal access to information on the nature, diagnosis and therapy regimen of disease, contributing to their desire to be informed participants in treatment. Once we were approached by a patient complaining about inefficiency of the prescribed treatment of gastric ulcer disease associated with H.Pylori* bacteria. The conducted public consultation of gastroenterologists from different regions of the country examined this medical case. After a thorough examination of the patient’s clinical record and a research, one of the doctors revealed a link between the location of the patient and a treatment failure due to resistance to the prescribed drug. One of the main features of the service is Biograph, a system of medical records, which helps the specialist to more accurately examine the patient’s physical history before proceeding to diagnosis. The patient fills in their medical profile, Biograph, in accordance to suggested poll schemes and computer-assisted diagnosis systems, and thus creates relevant information about their health, bringing in important details of a description of their current state of health, allergic anamnesis and overall physical history. Based on the technical accessibility, ​​medical records to Biograph are made as test results and medical history in chronological order, from the previous attending physicians, otherwise the patient may provide selected individuals with access to fill in and edit the profile by sending them an invitation by e-mail. Medical background, based on the anonymously provided medical Biograph profiles and depersonalized information about the patients, creates medical big data in real time for research activities to study diseases worldwide. Cluster analysis and dynamic curves building facilitate understanding of the links between the observed phenomena, allowing to determine therapeutic factors and stimulating new scientific discoveries and development of new therapies. Verified database of the professionals and experts from all areas of medicine worldwide. Search system based on multiple parameters: language, country, city, specialty, hospital, work experience, academic degrees. Advanced search criteria: search in publications, replies, number of patients, price of services, rating, online presence. Online reference health care, free and paid audio and video telematic consultations, communication via private messaging. Public section for broader research in rare cases by highly skilled specialists from various fields. System of electronic medical records, medical and treatment history, results of laboratory tests, health statistics, monitoring of the selected treatment progress. International Classification of Diseases ICD-10, expert knowledge and data base. Prescription of drugs given the comments, ratings, and performance statistics. Example: teleradiology study, deciphering ultrasound findings and other laboratory studies and tests. Reduction of costs of treatment in specialized institutions, costs of seeing a practitioner, diagnostic activities provided via DiagnoX affiliate network. Discounts on services provided by private specialists and promotions from pharmaceutical and medical tech companies. Information about treatment programs in leading hospitals around the world, modern and innovative methods of treatment. Communication on the subject. Systems of preventive medicine, health monitoring, testing, polls. This application is designed to create a customized model of a healthy lifestyle, activity management, creation of a functional pattern of the organism. 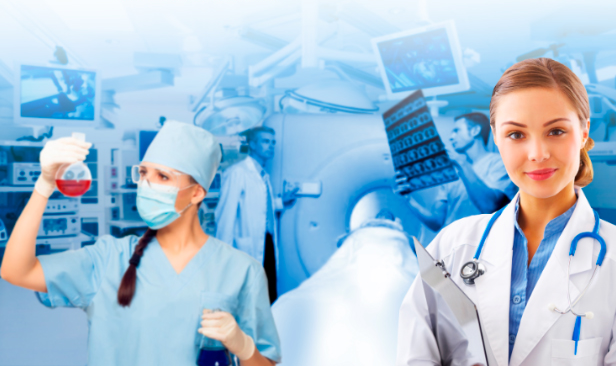 Medical apps, automated diagnostic systems and consulting products from experts. Doctor’s office: patient management, study and editing of medical records of the patient’s profile, monitoring of vital signs and treatment efficacy, receiving test results and status for referred patients. Personal pages to publish all the necessary information about the specialist and about the services and tariffs in the specialist database. 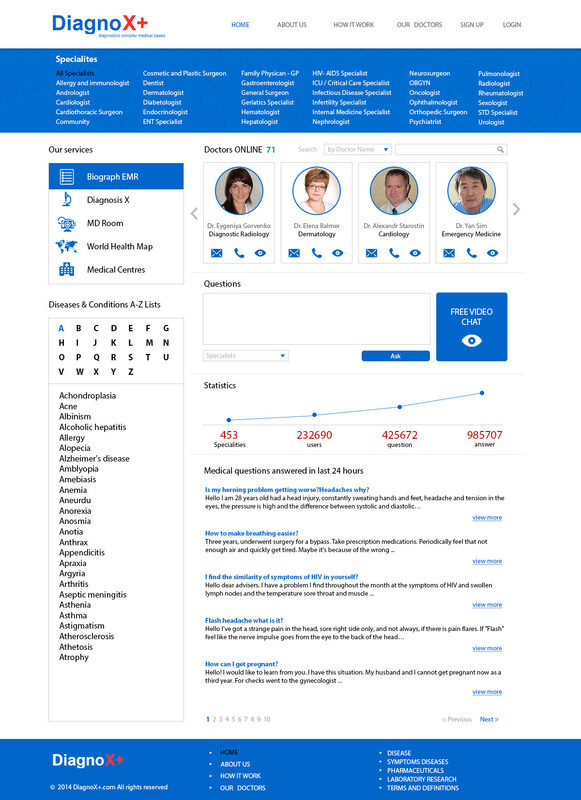 Doctor assistance system, such as support in taking medical decisions. Provision of paid and free remote medical advisement, telemedicine examinations using audio-video communication and private messaging with independent approach to tariffs. Dynamic monitoring, remote health monitoring, connected to external modules via a single protocol for remote transmission of biometric and telemetry data. Digital board of doctors: study of clinical cases, knowledge sharing, participation in research activities. "Medical Line" service, prompt and efficient interaction with the health centers. Medical library, medical cases, clinical studies, test results, medical guidelines and clinical records. Professional communication, experience and opinions sharing, publications, video broadcasting, video interviews. Continuing medical education, training information, advanced training, workshop broadcasting. Tools for developing medical apps, medical information systems, and publication of information and reference products for experts, advanced training programs, medical magazines, publications. Appointing patients for diagnostic procedures and examination in DiagnoX affiliate network of health centers and clinics. Open access to telemedicine providers and medical institutions, publication of scientific data in the database, proposals for services. “DiagnoX” team is fully staffed and has production facilities and software and technical support of the project required to launch DiagnoX beta service. Verified database of qualified specialists from different fields of medicine across three countries is collected, which is about 400 participants interested in cooperation with the service. Preliminary agreements to provide telemedicine services to medical institutions from Israel and Germany, as well as some radiology centers, are reached. Upon successful completion of the fundraising campaign, the guaranteed launch date of a full-featured DiagnoXβ service is August 25, 2014, with the formal registration of the company and the opening of offices in the United States. The claimed funding will provide seventy days of the service operation in basic mode in terms of austerity and limited staff consisting of the most essential employees. Most of the team members contribute to the project without getting paid. The development center and the entire business is transferred to Estonia, Tallinn, for the purpose of political risk insurance and cost reduction, the company’s representative is located in the United States, California, San Francisco. 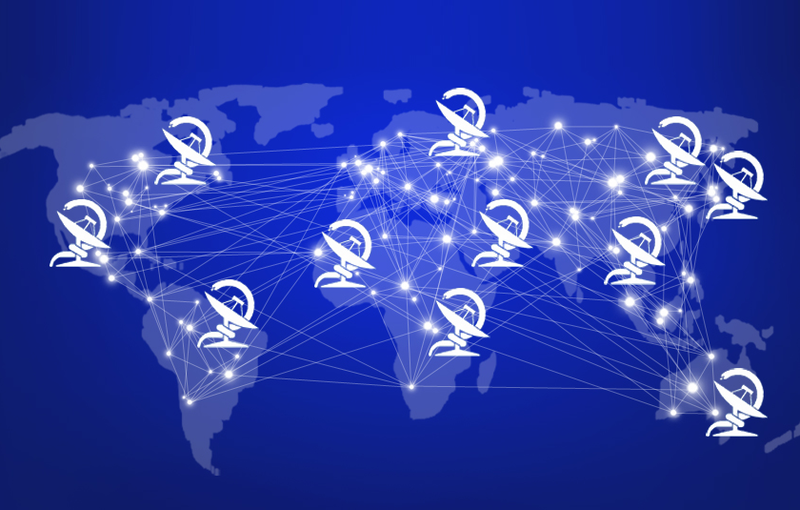 Borrowed funds are expected to be largely spent on the development of the affiliate program: connections with major medical portals, institutions, doctors, and on online advertising of the service. The remaining funds will be used for search and preparation for venture capital investments in favor of scaling the service. 66% – of Internet users are seeking information about their health. 52% – of smartphone users are seeking information about their health. 28% – check medical advice online. The world market of mobile medicine is estimated at $23bn. According to IHS Technology forecast, the revenues of telemedicine services segment will grow from $440.6 million in 2013 to $4.5 billion in 2018. Number of patients using such services will reach 7 million people. Harry Kim, Hewlett-Packard’s senior director for worldwide healthcare, estimates the potential volume of telemedicine market at $10 billion dollars, while believing that 40% (Cisco estimation – 74%) of visits to doctors could be conducted using telemedicine. At the moment, 27% of diagnostic centers and 42% of clinics around the world offer their patients telemedicine services. In 2010, our company in Russia sold a software package for telemedicine consultations and creation of a medical portal for online help. There is a successful US counterpart “Healthtap” with the business model of private expert base, which attracted a total investment of $30 million. Some doctors tend to conventionalism and a taste for “well-tried” methods. Conducting seminars to position the service as an innovative method to provide services according to the “second diagnosis” model, creating a positive image of the collegial approach to the patient and taking of the decision thatdoes not cast doubt on the qualification of the attending physician. Many healthcare institutions find public funding, patient’s private payment for their services or insurance policies sufficient enough. State legal regulation of healthcare in different countries, specific regulations on the use of telemedicine and information security, peculiarities of licensing and control over the quality of medical services, legal liability of the consultants. Using local regulations to attribute legitimate status to the services and settling all contractual relationships with partners of the telemedicine project, patients, healthcare institutions and doctors. Application of software that protects private databases, data encryption, and digital signature to sign the authenticity of the opinion. Cyberchondria is a virtual ailment, the essence of which is the pursuit of human to self-diagnose the disease based on the appearance of symptoms described on the online portals devoted to medical subjects. Our service does not seek to replace visiting healthcare institutions and examinations by doctors. 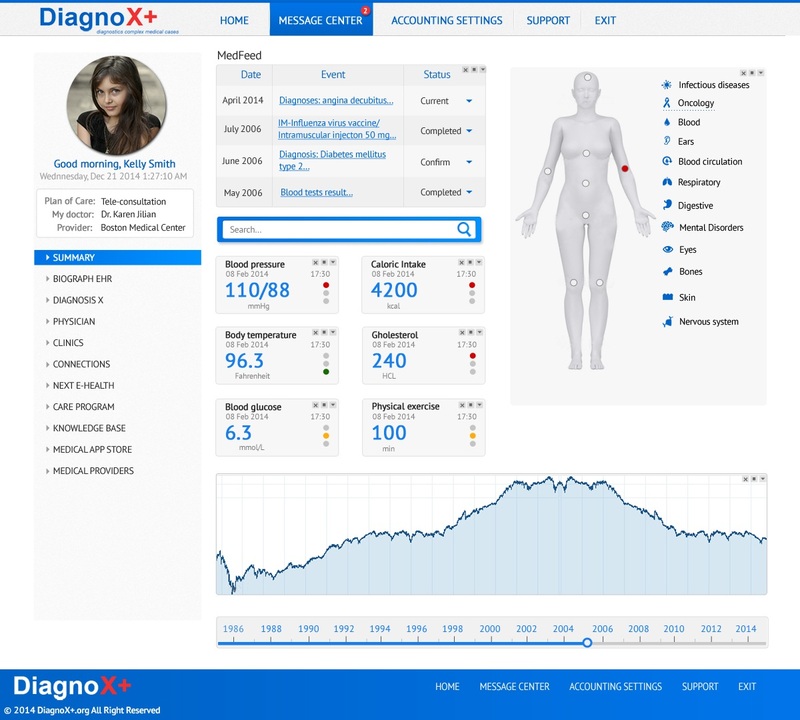 DiagnoX is designed to solve the problem of timeliness and availability of quality reference health care and scientific approach to the study of disease. We want to ensure timely diagnosis in the world leading hospitals with top-rated specialists – at the same time, a quite operational one and under the supervision of the attending physician. Formation of automatic diagnostic systems based on global data on scientific analysis of the disease architecture for early detection of the risk of future disease development. Systems of automatic recognition of injuries and various anomalies, simulation based on three-dimensional scanning. Epidemiological cards with systems of mathematical modeling of forecasting the chance of epidemics. Doctor from ancient Syria, Abdul Farafis, when received a patient, greeted him with the following words: “We are three: you, disease and me. If you are on the side of the disease, you will be two. You will beat me, because I am alone. But if you’re with me, we’ll overcome the disease. After all, it would not have any allies".